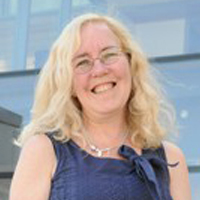 Prof. Dr. Grainne Conole joined the University of Bath Spa on 1st February 2015 as Chair in Education. She was previously at University of Leicester, where she was professor of learning innovation and director of the Institute of Learning Innovation. Her research interests include: the use, integration and evaluation of Information and Communication Technologies and e-learning, research on Open Educational Resources (OER) and Massive Open Online Courses (MOOCs), new approaches to designing for learning, e-pedagogies, social media and the impact of technologies on organisational change. She regularly blogs on www.e4innovation.com and her Twitter ID is @gconole. She has successfully secured funding from the EU, HEFCE, ESRC, JISC and commercial sponsors). She was awarded an HEA National Teaching Fellowship in 2012. And is also a fellow of EDEN and ASCILITE. She has published and presented over 1000 conference proceedings, workshops and articles, including the use and evaluation of learning technologies. She has recently published a Springer book entitled ‘Designing for learning in an open world’ and is currently working on a Routledge book on practical Learning Design.